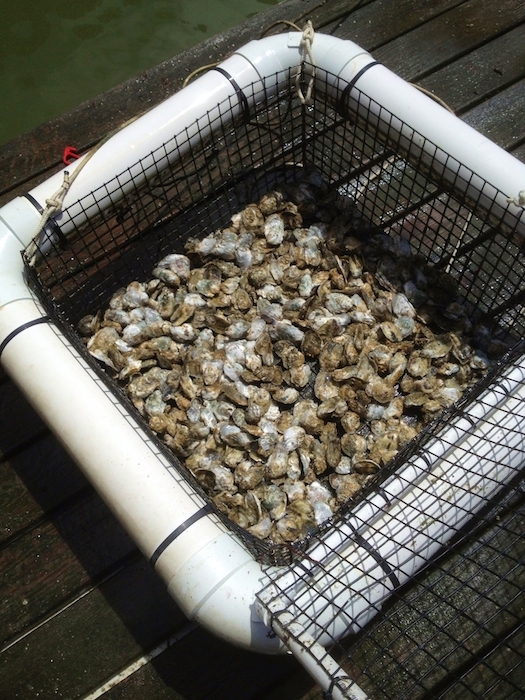 Oysters in one of Capt’ Tom’s Oyster Floats. 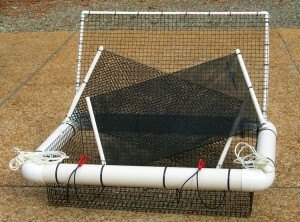 All floats are fully assembled so you don’t need to buy anything else other than spat. 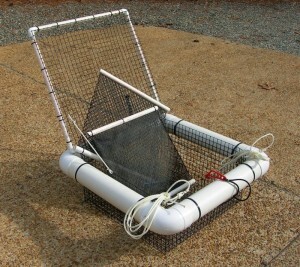 Our two larger floats include stage 1 & 2 grow-out bags, two dock lines and hinged predator-proof tops with tie-down hooks. We provide detailed instructions and an owner’s manual to make your oyster gardening experience user friendly. Come visit us and learn more about our floats at an upcoming event. Otherwise, contact us for additional information. Detailed specifications and pricing are available on request. 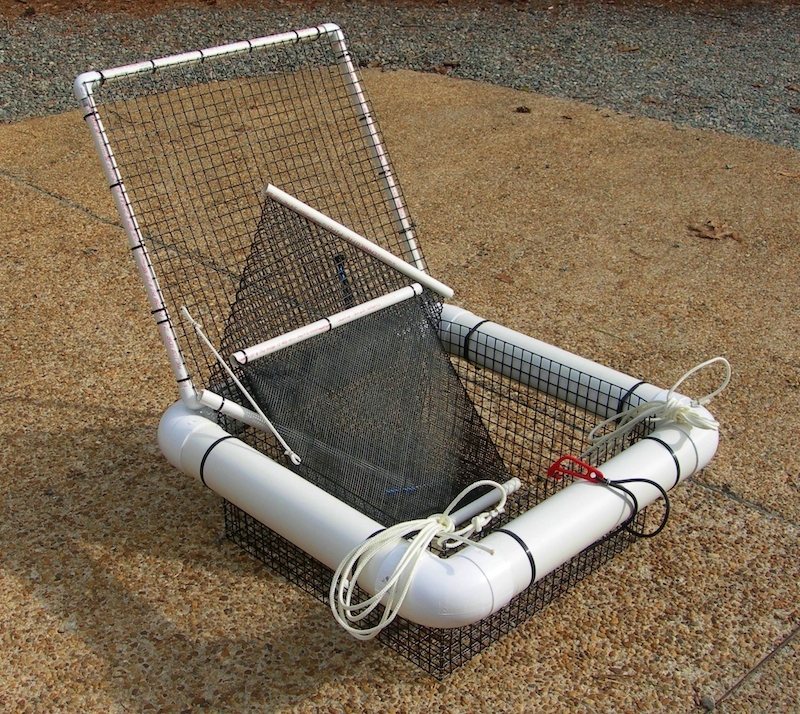 Our large oyster float kit is 4′ x 2′ x 1′ and includes grow-out bags and dock lines. Our small oyster float kit is 2′ x 2′ x 1′ and includes grow out bags and dock lines. Need a few oysters close-at-hand? 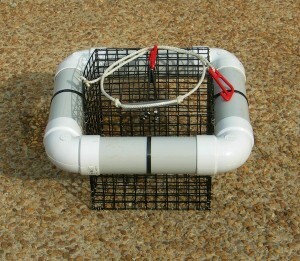 Ask about our oyster keeper-caddy!